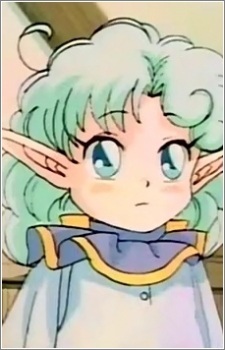 An infant girl of the "Elves to the Sorcerers". Although she is able to play weak magic of "Fire", "Cold', "Stop" and "Fly," it is not very useful to the group. She sticks to Shiro, the white dragon.